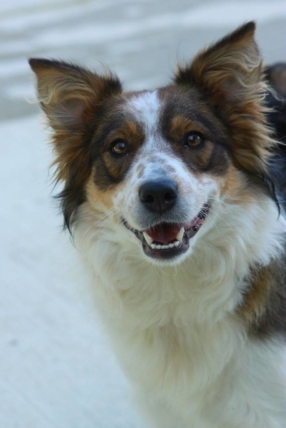 Amanda, who also took this picture, tells us, “Shelley is quite the character and is very much a herding dog! She is goofy, yet extremely focused, intelligent, sweet and loyal. Like most herding types, she is high energy and wants a JOB so badly! Whatever she is doing, she is doing it as if her and your life depend on it!